"World's Leading Trade Fair for the Entire Cosmetics and Professional Beauty Industry"
Cosmoprof Worldwide Bologna exhibition is dedicated to the various sectors of the beauty industry: Perfumery and Cosmetics, Natural Products, Packaging, Machinery, Contract Manufacturing, and Raw Materials. Vast numbers of exhibitors, visitors, and buyers from overseas turn up for this event, year after year, into a proper international “hub” where professionals and decision makers meet to develop their business. Exhibitors get an opportunity to reach out to the world and not only make their presence felt but even seal the most profitable of deals. Thus, it would not be an exaggeration to say that being there for the event at the Bologna Fair Centre leverages every visitor’s and exhibitor’s chances of striking gold in the professional beauty sector. Meeting suppliers from all over the world. The best was Hall 14 and SPA & Beauty Halls. Not all the gates have taxi services. I stayed two hours in the street looking for taxi. Not enough info desks or staff to help. Number of halls was very confusing. The city is not equipped enough to host such a big event in terms of transportation. I will not attend this event in the future. 3 18 Mar 2019 Ravi Mullick Executive Director at Quintessence Fragrances (P) Ltd.
We have been participating in the event for 3 years. I can surely say that this was the best years of all three.Our only minor thing was communicating through teleohone the last few days. However Valentina and her team solved all our trouble. 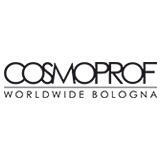 Cosmoprof Worldwide Bologna assembles more than 2300 exhibiting organizations from 58 countries, who wish to promote their beauty and cosmetics products in the international market and conduct sales extensively. The chief items of exhibit at the show are hair and nail cutting products, nourishment products, beauty salon products and equipments, spa products, herbal and chemical cosmetics, toiletries and fragrance, fashion accessories, makeup kits and many more. Pioneer manufacturers, suppliers, renowned traders such as Air Lux, ANGIE, and balmi along with leading exporters are also present at this show. Green Park Bologna Hotel & Cong..